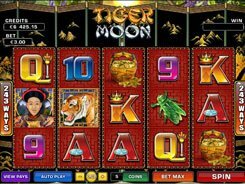 The slot is inspired by a Chinese legend about Sun Wukong (Monkey King) who was able to transform into 72 objects and animals. 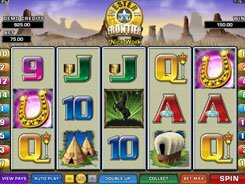 The game is playable over 5 reels and 30 paylines. Its symbols perfectly fit the theme and depict various supernatural creatures as well as warriors and monks. 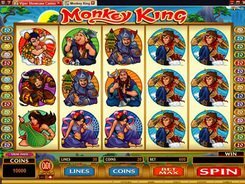 Monkey King features a wild symbol, a scatter, a free spins bonus and a fixed jackpot worth $3000, though during free spins you can win a way more. A coin comes in three values to pick from: $0.01, $0.02 and $0.05. 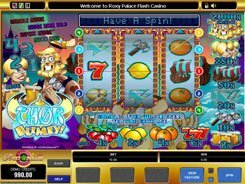 Adjusting the number of coins from 1 to 20 per line, you can bet a maximum of 600 coins ($30) per spin. The most lucrative is actually the Monkey King scatter, with three to five of them activating the Bonus feature. 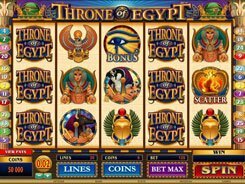 In the bonus feature you have a chance to win up to 25 free games at up to a x4 multiplier, plus three extra wilds for the duration of the free spins. 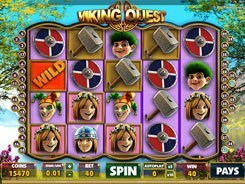 The slot has a wild symbol that comes stacked on the reels during a normal game and in a free spins round. PLAY FOR REAL MONEY!